It’s one thing to receive information to connect to the quantum, it’s another to have it embodied into your being. 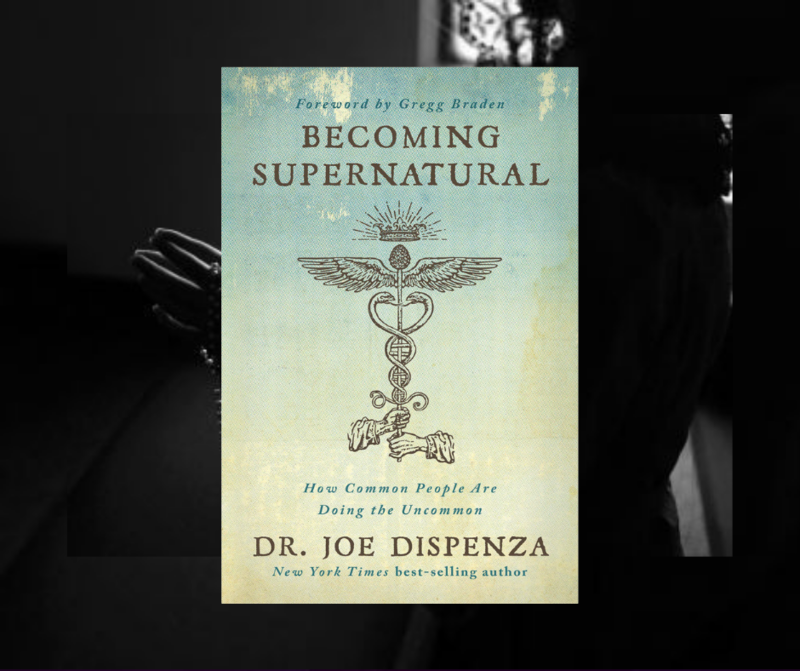 Becoming supernatural is a guide to activate the pineal, to connect to the quantum field, to embody it into your being and to utilize the true and powerful effects of meditation. Within the wildwood tarot, the woodward is a hunter who’s prey is solutions to moments of crisis. He acts as an emotional back stop when fate, or the destructive energy in a situation, faces us with seemingly irrational or overwhelming disaster. When the individual is removed from a place of seeming security, they are stripped of the emotional baggage that holds them in a state of limbo. During this stripping away of a illusory power, individuals find within themselves their true inner strength. A person who has learned from the experience of the journey around the Wheel of the Year gains vital wisdom about the nature of patience and resolution. However, neither of these qualities is enough on it’s own to give the spiritual hunter courage to forage in the wilderness again. A certain fierceness is needed. The hunter must be as strong or cunning as the creature they are attracting and is dedicated to their goal as the lioness' is to protecting and feeding her cubs. This is not mindless, irrational aggression, but tempered stoicism of a cool and resolute passion. The strength of the woodward is both a balance and a dichotomy between the energy of the hunter or the guardian, and the grounded inspiration found within the ecstasy of drumming and war dancing. These energies honour the qualities that provide protection and inspiration. Lavender conjures up, for many people, whimsical memories of breathing in the scent of a grandmother or traipsing through beautiful gardens as a little one, inhaling summer as we went. She is ruled by Mercury, the planet of communication, and though this may relate to the throat chakra, we also see how Lavender can connect to the crown, the pineal gland, that which is open to divine consciousness and ethereal communications. Memories are deep with Lavender, for her medicine has been reached for in many forms since the 1st century, and likely before that documented era. Mothers and wise women throughout history reached for this perennial, woody stemmed herb for the children’s ailments including parasites (worms), lice and insect bites and disinfection. steep as a tea when experiencing vomiting, nausea, intestinal gas, upset stomach, and abdominal swelling or to help relieve pain from headaches, sprains, toothaches. make a gorgeous ‘miel de lavande’ or Lavender honey for medicinal, health-boosting purpose or a delicate and floral culinary addition to your afternoon tea. Our favourite way to bring Lavender into our lives this month is creating a Lavender Body Oil by covering lavender buds with a high quality, organic olive oil within a very clean and bone dry mason jar, and leaving to infuse for one full moon cycle. After this you will strain the oil from the plant material, decant into a new jar, cracking one capsule of vitamin E into the oil to help preserve, and preceding to use this oil daily, paying special attention to your skin as you activate the lymphatic system and consciously bring awareness to the skin that you live within. This is wonderful to do either before a bath or shower or directly after and before bed, allowing the skin and body to receive the lavender medicine and amazing fats of the oil before bed. As the Maiden of the East of 'the wheel', we begin to become aware of our interconnectedness and friendship bonds us to one another in a very potent way. For us to heal the trauma that arises in us as women with 'witch wounds' and issues with creating trusting relationship with other women, we need to move back into a space of saturating our psyche with interconnectedness and shared cyclic patterns, waves and rhythms ones again. 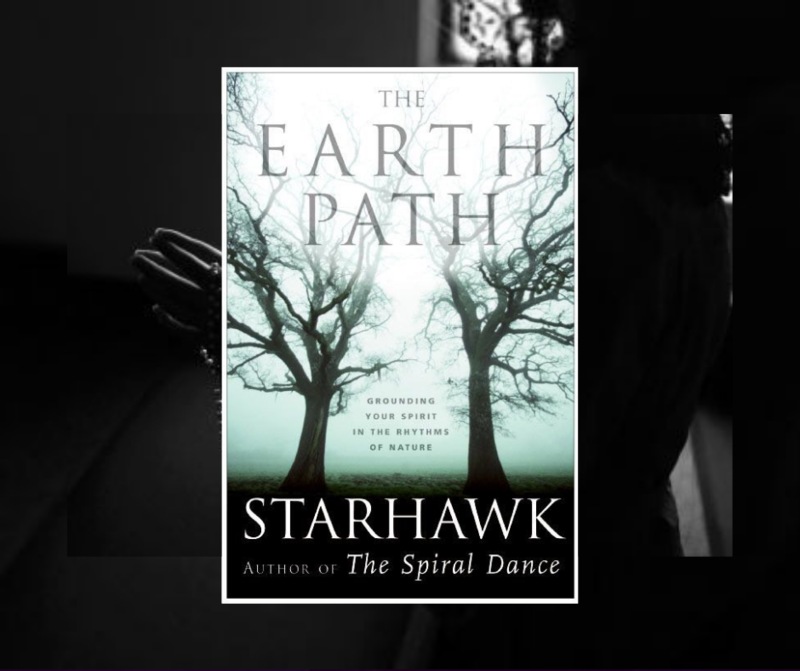 This book is written by Starhawk (the name she took when she entered The Craft), one of the worlds best known theorists of feminist Neopaganism and Goddess/earth-based spirituality. She declares herself a witch and to read any of her books is to be transported into self exploration, reclamation of the sacred nature of the woman and revival of Gaia worship. She delves into spells, chants, meditations and exercised to propel her reader into a sacred union with our Earth, The Mother, The Goddess herself. This is a wonderful beginner book for anyone wanting to learn more about nature-based spirituality. 'An oath is a sacred bond that we make. It is more than a promise, it is the bond of a soul contract through the spoken word- and thus we must be cautious when we offer our word and think through what it is we mean we give it. It is impossible to ever know what another thinks we mean when we give our word, so when this card comes, there is a slight undertone of a warning- that another person may take your word and twist it to mean they have your loyalty forever, regardless of circumstance, behaviour or treatment. An oath is made between equals, and an oath can be broken by both parties, and by circumstance. You may now be considering a partnership or a contractual agreement. It is almost impossible to know how to ensure that this is a good thing, because the truth is, within every contract there is much that cannot be comprehended, even when it is read. March is ruled by the planet Mars, a yang , masculine driven planet that helps us now to burst forth from winter sleep and begin to move again. This brings fire to our previously watery and cool inner cauldron, propelling us forth and providing renewed enthusiasm for action. Nettle is a herb that is also ruled by the planet Mars, encouraging fire and yang to arise in our being, and just as we awaken and become sweet as our maiden selves in the season of spring, so too do the nettles that are best harvested a few weeks after they emerge in springtime. 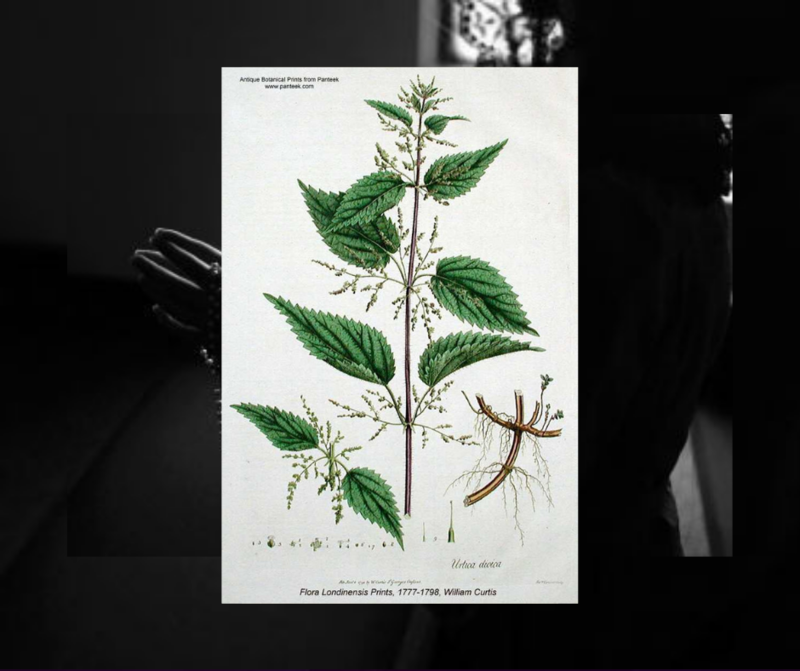 As well as being an optimum blood builder, counteracting the very feminine ailment of anaemia and providing rich vitamin k stores and mineral-richness that floods the womb, blood, hair, skin and nails, it also has many metaphysical powers that make the common stinging nettle a hidden King. This herb can be carried on the body, sprinkled around the home, thrown onto a fire or placed beneath the bed of the sick as a protective and healing plant that works spiritually as well as physically. Those within our membership portal are learning, this month, how to prepare, pray over and consume nettles in a deeply nourishing way, tapping into the wisdom and relevance of this gift of nature as we begin to journey through the archetype and aspects of the Month that we are now sitting in. To enter Into The Well and become a member of our creatrix' web.